High quality teaching with the best resources and modern classrooms, equipped with technological devices: interactive boards, tablets, HD televisions, laptops, and projectors. Small groups allowing teachers to be more attentive to each student – we know everyone has different strengths and weaknesses and ought to have the classes adapted for their needs and abilities. Competitive prices allowing you access to excellent Spanish courses at a very good price. We offer the best quality-price deal. Freedom to start whenever you want. The Spanish courses start every Monday throughout the year! If you want to learn quickly and make the most of your time, we can offer you a wide range of Spanish courses. The courses can be set at the pace and the intensity you desire. 20 hours of Spanish courses for students who want to learn Spanish or improve their knowledge. All levels available. Learn Spanish by the sea and have fun! 20 hours of Spanish courses during an extended period for foreign students. Perfect for students who want to immerse themselves in the language and live the Spanish lifestyle. All levels available. 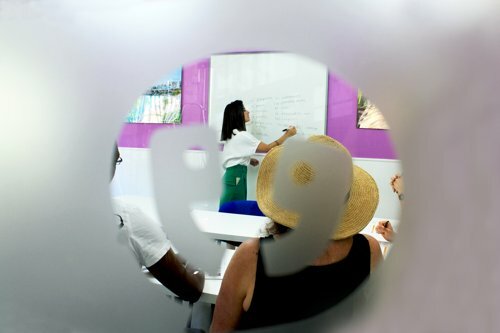 20 hours of Spanish courses + 10 private classes in our school by the sea. Recommended for foreign students who want to learn Spanish and have one-to-one support to make you progress faster. 20 Spanish classes + 5 private classes for foreign students. It is the ideal course for those who want to learn Spanish quickly with one-to-one support. All levels available. 4 hours of Spanish lessons per week (2 hours each lesson) for all levels. For those who study or work in Malaga and do not have time to take a morning course. Learn the Spanish language and enjoy your free time in the morning! 20 hours of Spanish lessons for beginners that can be used in any Spanish courses, from the Intensive course to the Spanish and internship programme. Learn the Spanish language whilst having fun! The immersion programmes combine the intensive Spanish classes with the comfort of the accommodation in a Spanish host family. Become fully immersed in the Spanish language! Intensive summer course (20 classes/week) or Combined summer course (20 intensive courses + 5 private courses) for students on holiday. Learn Spanish and enjoy our outdoor activities! 20 Spanish classes for students who want to prepare for the DELE. It will give you the best preparation possible for all aspects of the exam. You will get to know the structure with mock exams and learn techniques to do excel in the exam. Take this course to ensure you pass the DELE! 20 general Spanish group classes + 5 private business Spanish classes for all levels. This course is for students who want to study Spanish abroad and improve their skills in any given professional area. Become a fluent Spanish speaking entrepreneur with us! Minimum 1 Spanish class per week (2 classes if online). Perfect for students who need special support with their learning process, professionals who don’t have a lot of time to study or commute and people who wish to learn about specific topics from the comfort of their own home. All levels available. Learn quickly thanks to the private courses! 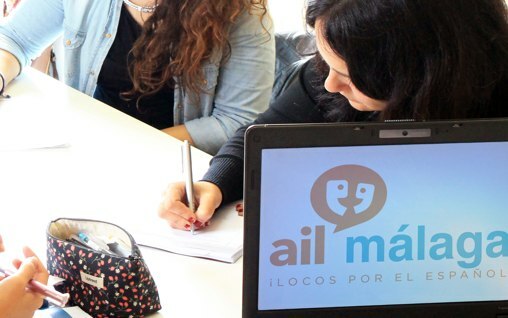 20 Intensive Spanish courses + internship for all levels. This programme is perfect for people who wish to learn Spanish whilst developing new skills. It will allow you to practice in the workplace by using the professional vocabulary learnt in class. An unforgettable experience! 20 Spanish classes + 3 cooking classes for people who want to learn Spanish and enjoy themselves cooking. It allows you to learn the vocabulary for everyday situations and learn how to cook the main dishes in Spanish gastronomy. You will master the Spanish cooking! 20 Spanish courses + 5 flamenco classes for all levels. It is the ideal course for foreign students who want to learn Spanish and have fun dancing flamenco. By learning how to dance flamenco, you will immerse yourself into the heart of Spanish culture and dance. Learn the steps with us! Master (20 intensive classes + 3 private classes of tennis) or Grand-Slam (20 intensive classes + 5 private classes of tennis). 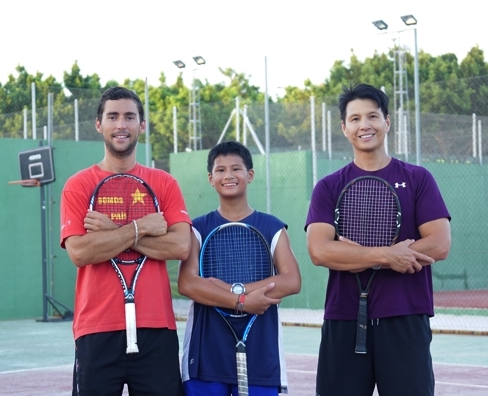 It is the ideal course for those who want to learn Spanish and tennis! Minimum of 3 classes a day for any level. This course is perfect for tourists or beginners who want to learn the basis of the Spanish language during a short period of time. Enjoy your stay with us! 15, 20 or 25 Spanish classes with activities included for school groups from 6 to 50 students. Spanish courses that are totally personalised that combine learning Spanish and fun activities. 6 months of Spanish courses with 20 intensive classes per week. This programme has been especially designed for students in those countries where it is most difficult to study abroad. Come and learn Spanish! 2, 4 or 6 weeks of Spanish courses with 20 intensive lessons per week. You will learn Spanish in two completely different and wonderful cities: Madrid and Malaga. Let’s experience and explore Spain! 10 Spanish classes a week for all levels. 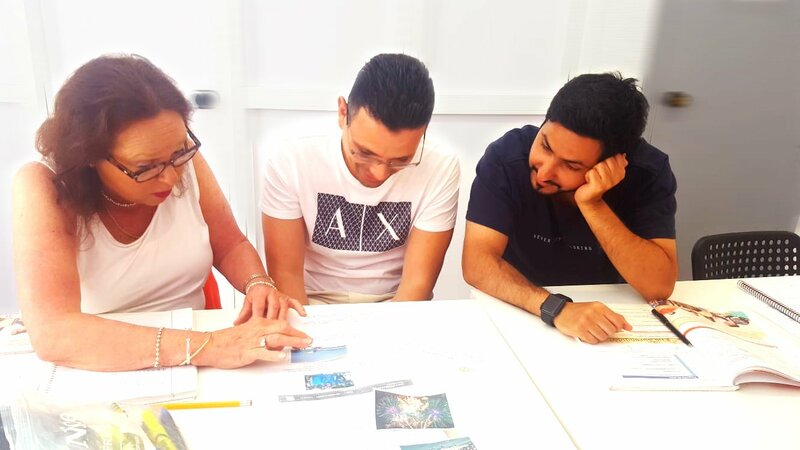 This course has been designed for mature students who want to enjoy their holiday in Malaga by learning Spanish and doing outdoor activities. Do you need help choosing a Spanish course?